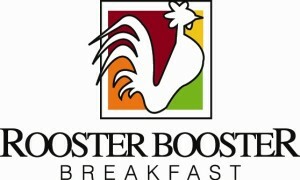 The Chamber’s premier event, the Rooster Booster Breakfast, is the first Thursday of every month at 7:30 am. local businesses each month and features various anticipated speakers throughout the year. The breakfast is served starting at 7 am and the meeting begins at 7:30 am. Limited seating at the event encourages an RSVP. Reserve your spot now by calling the Chamber at (270) 926-1860. Pay online prior to the breakfast or at the door with cash, check, or credit card.